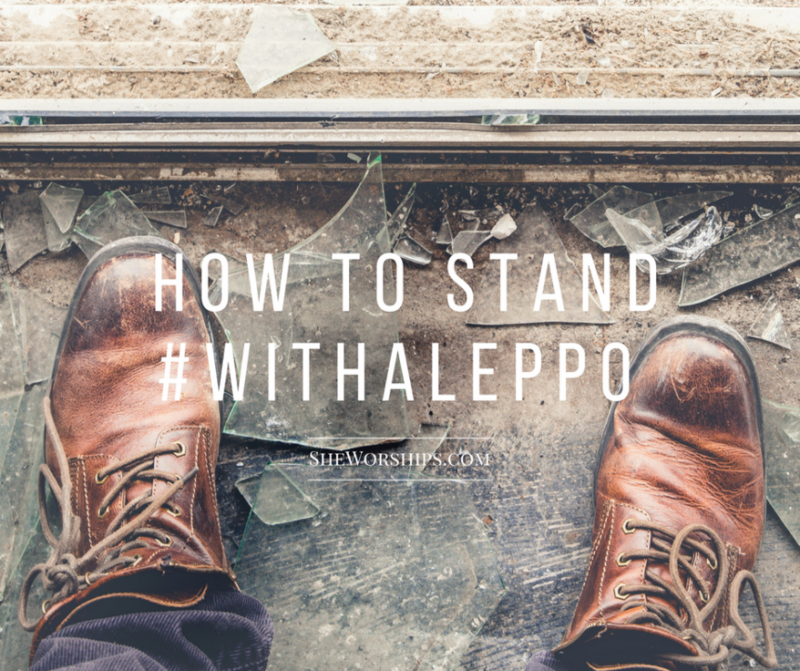 All day long, I have felt a bit paralyzed by the news coming out of Aleppo. The scale of the evil somehow keeps growing, and I confess I am tempted to despair. Or to tune out. It would be so easy to turn off the news and finish my Christmas shopping. I challenge you to fast and pray. I say this not as a cliché Christian thing to do, and not as an alternative to action. For the people of God, this is our action. Prayer is important, effective work, so pray for peace. Pray against the powers and principalities which have seized hold of the city. Pray for aid workers to get food and supplies to those who need it. Pray that God’s comforting presence would be felt by children cowering in fear. Pray for courage and discernment from our leaders. Pray against apathy in ourselves. Pray for an end to this evil, and ask God how you can be an instrument of hope and rescue. There are a number of organizations doing great work, so consider supporting one (or three!) financially. I think she’s right. The story of Christmas is the story of God taking hold of helplessness, making it His, and transforming it into something powerful. When we feel helpless, we step into that formula. In our helplessness, we join company with Christ, and we are given an opportunity to become more like him. I’ll admit it’s a mystery I don’t understand, but it is one that I trust. If God can turn helplessness into cosmic rescue, He can use our helplessness too. As I said, if you have more action steps, please share them below. I would love to hear them. But most of all, please do not grow weary in doing good. We were put on this planet to give a darn, and right now, the stakes are very high. Keep going, keep fighting the good fight, and keep living as if the light is winning…because it is. I especially love and appreciate Point 3 on feeling helpless. I find this often as a Christian lawyer and Christ follower. I have other friends who are feeling helpless in many different types of situations and your point 3 will help them I believe. I will share to encourage those friends. I look forward to your book! I live just outside Grand Rapids MI, the home of Baker Books! Congrats! Thank you for these beautiful words and suggestions for action. I have shared them with each one of my classes today (I teach at a Catholic school) and we appreciate this post greatly!